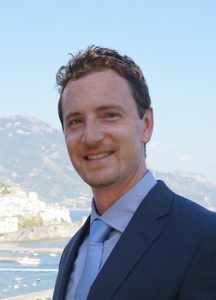 Dr. McNamara grew up in Coeur d’Alene, Idaho where his father and brother currently practice general dentistry. After completing residency in Texas he and his wife decided to return to the Pacific Northwest where they met during dental school at UW. They enjoy the scenery, people, and lifestyle it has to offer. Dr. McNamara enjoys spending time with his family and friends especially his wife Donna. His free time usually involves outdoor activities including hiking, biking, and golfing in the summer and skiing and snowboarding in the winter. He also enjoys scuba diving when traveling and cooking and reading when spending time at home. Dr. Baiz was raised in Caracas, Venezuela, but now calls Seattle her home. She earned her DDS degree at Universidad Santa María in her hometown in 2006. She completed her AEGD residency and then obtained her Master’s and specialty degree in Endodontics at Boston University. Since then, she relocated to the Pacific Northwest, has been practicing first class endodontics, and continues to deepen her knowledge with numerous hours of continuing education. Dr. Baiz is bilingual, being fluent in Spanish. 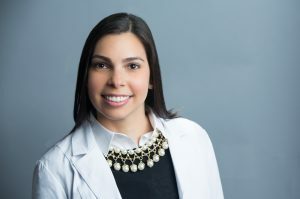 When she’s not treating patients, Dr. Baiz enjoys spending time with her family, traveling with her husband and very active toddler, and loves cooking and trying new restaurants. Rayona joined East Hill Endodontics in July of 2017 as our dental assistant. Rayona graduated from Pima Medical Institute in 2013 and she gained experience working in general office and community clinics as well. Enthusiastic, friendly and dedicated are a few words to describe Rayona. She is committed to patient care and wants to be certain all visitors to our office have a relaxing and comfortable dental appointment. Rayona was born and raised in Seattle. She has a one year old daughter and in her free time likes to travel and spend time with her family.